Japan is the king of everything cute and as part of that love for cuteness, cartoon-like mascots are everywhere: at sporting events, shopping malls, even prisons. And it is big business, with character-driven sales netting some $16 billion dollars per year. So if you want to get in on the action and be a mascot, What should you do? Well Choko Oohira has an answer. Check out the above video about Ms. Oohira who runs The Mascot Actor’s School. It one of the world’s only mascot training academies where you learn to behave like a “proper” mascot ! And when thinking of mascots, the most popular and well known currently in Japan is a little guy called Funassyi (ふなっしー Funasshī). Wildly popular, Funabashi can be seen at events and festivals, as well as on numerous TV programs and commercials. It has also issued a CD album and several singles, DVDs, starred in its own anime series and opened its own character goods store. More about this character from Wikipedia. 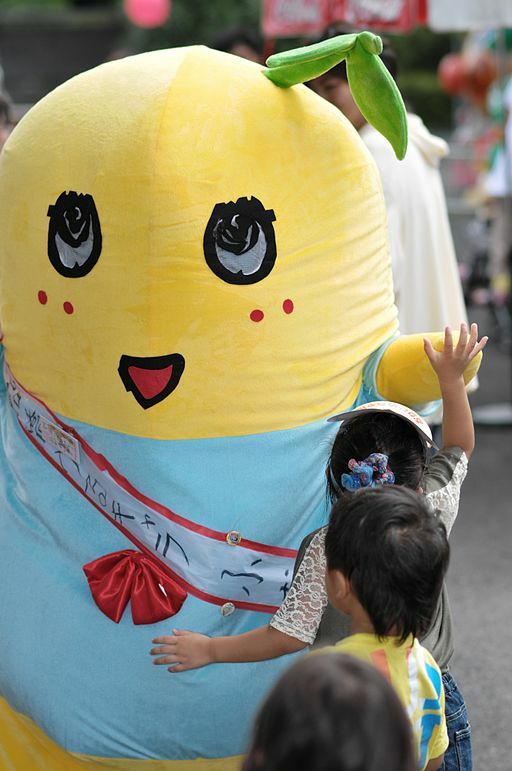 Funassyi is neither a boy nor a girl, but a pear (梨 nashi). Its parents are ordinary pear trees. 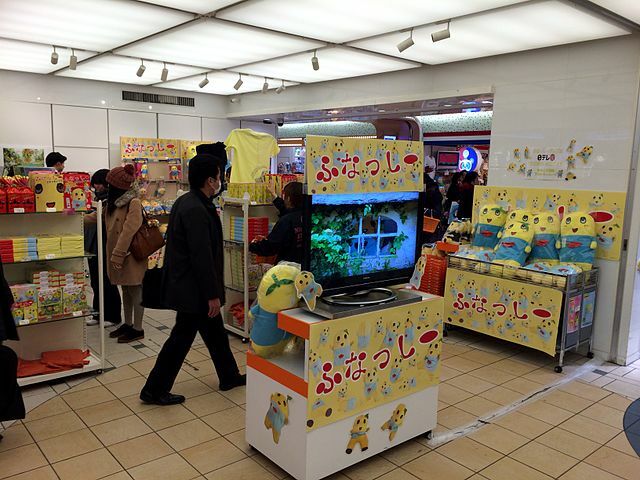 Funassyi is the fourth of their 274 children. Its birthday is July 4, and it is 1,876 years old as of 2014 (in a literal time frame, it was possibly born in the year AD 138). Its full name is Funadius IV (フナディウス4世 Funadiusu Yonsei),and its favorite food is peaches. The character is fond of heavy metal music, revealing that it bought Deep Purple’s Machine Head as its first album, and is also fond of Aerosmith and Ozzy Osbourne.